Joseph Campbell is one of this century’s great disseminators of the psychological wisdom of mythology. 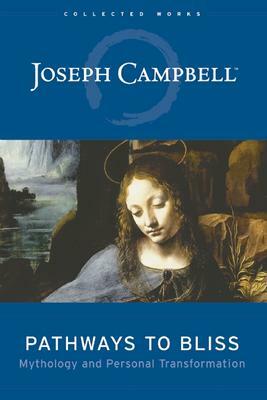 One of the basic functions of myth, he contends, is to help each individual through the journey of life, providing a travel guide to reach fulfillment — a map to discover “bliss.” In Pathways to Bliss, Campbell once again draws on his masterly gift of storytelling to apply the larger themes of world mythology to personal growth and transformation. Looking at the more personal, psychological side of myth, he begins to dwell on life’s more important questions — those that are often submerged beneath the frantic activity of our daily life. With characteristic wit and insight, he draws connections between ancient symbols and modern art, schizophrenia and the hero’s journey, revealing the way myth helps identify one’s heroic path.